With each successive release, garage-dreampop trio [The] Caseworker deliver their own timeless sonic magic. Their pivotal 2011 album Letters From The Coast has the feel of a shoegazing Velvet Underground reared by the Flying Nun label – the perfect balance of drone and chime. The follow up release, Voices Out There, saw the band rein in their lo-fi guitar-pop impulses and explore a more expansive, minimal sound, akin to Conor and Eimer Devlin’s previous band Half Film. [The] Caseworker create an enigmatic intimacy and atmosphere, which they wrap around immaculately crafted pop songs like smoke. Perfectly intoxicating. Voices Out There sees [The] Caseworker rein in the lo-fi guitar-pop impulses of acclaimed third album Letters From The Coast to explore a more expansive, minimal sound, akin to Conor and Eimer Devlin’s previous band Half Film. The band maintain their enigmatic intimacy and atmosphere, while suggesting haunting vistas just beyond the horizons of these succinct, sad songs. The lyrical themes explored on the album are a continuation of their previous preoccupations – reflection, rootlessness, memory – while also being coloured by Conor Devlin’s experience of recovering from a serious car accident in 2012. First single ‘Dependence Day’ marries [The] Caseworker’s trademark restraint with a strident, slowburning melodic sensibility, while the title track vividly surveys the morphine hallucinations Conor experienced while confined to a hospital bed in Switzerland. The album’s chiming guitars, gently bobbing rhythm section and warm yet dislocated vocals from both Conor and Eimer Devlin generate a sense of intimacy and fragility that is deeply affecting. What’s most apparent on these songs is of a band in absolute control of their craft, able to derive maximum emotional heft from minimal ingredients. On their third album Letters From The Coast, garage-dreampop trio [The] Caseworker exude the feel of a shoegazing Velvet Underground reared by the Flying Nun label – the perfect balance of drone and chime. The band creates an enigmatic intimacy and atmosphere, which they wrap around immaculately crafted pop songs like smoke. Perfectly intoxicating. With opening track and lead single ‘National Runner’, [The] Caseworker have an instant pop classic on their hands. The song’s consummate mix of hypnotic guitars and driving rhythm section are perfectly balanced with Conor Devlin’s starry-eyed vocal. Elsewhere, bassist Eimer Devlin assumes lead vocal duties for ‘The Slow Track’ and ‘Sea Years’, both reminiscent of prime Yo La Tengo, while standout ‘Boats’ carries the listener away on its buoyant yet melancholic waves of arpeggios and feedback. The album exudes a wonderful sense of timelessness and romanticism – these are songs to attach memories to. 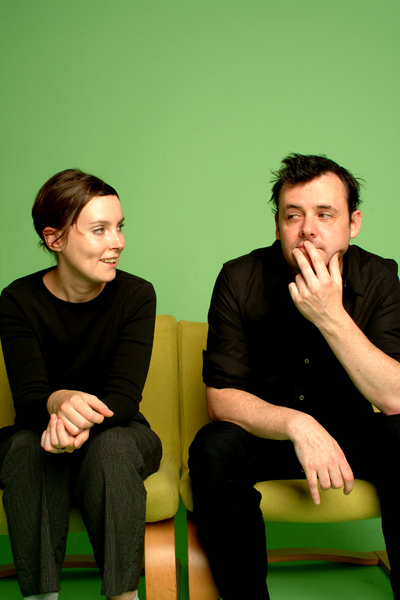 [The] Caseworker was initially formed by Conor Devlin (vocals, guitar) and Eimer Devlin (vocals, bass) as a San Francisco-based recording project back in 2003. They released their first album These Weeks Should Be Remembered in late 2003. Rave reviews prompted the band to try some live shows, with Will Waghorn joining on drums, and extra guitar provided by Monte Vallier (Swell, Jet Black Crayon). Two more albums followed over the next three years: East of Sunset, a soundtrack album of Tom Waits covers, and their second album of original songs, When I Was A Young King, in 2006. Between 2007 and 2009 [The] Caseworker went on accidental hiatus as the band members moved around the world. They’re now based respectively in Lausanne, Switzerland, Petaluma, USA, and Clifton-upon-Teme, England. 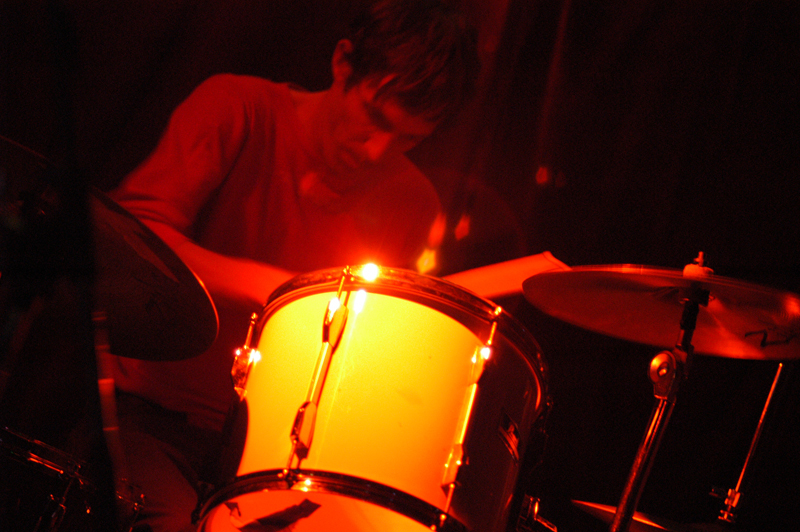 Their new album, Letters From The Coast (Hidden Shoal, 2011), was recorded by Monte Vallier at San Francisco’s Ruminator Audio Studios (Young Prisms, Weekend, Tommy Guerrero). PERTH, Kramies and [The] Caseworker All in the KBRP Top Ten! The good folks at KBRP know good music. Want proof? How about three Hidden Shoal artists in the KBRP CMJ Top Ten this week! perth’s What’s Your Utopia? 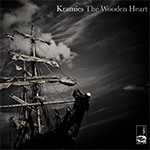 at 3, Kramies’ The Wooden Heart at 4 and [The] Caseworker’s Voices Out There at 8. Now if we can just dislodge Stephen Malkmus, Damien Jurado, XIU XIU and a few others we can hold the top three spots. Kramies Interview in The Big Takeover! [The] Caseworker’s brilliant 2013 album Voices Out There has continued to garner glowing press wherever it has been covered. And why wouldn’t it? It’s such a deeply affecting, atmospheric slab of hypnotic pop that it becomes almost impossible to not be lost in its ever evolving charms. Here’s a round-up of recent reviews out of Europe and the US that espoused the same feelings – Luna Kafe (Norway), Music Won’t Save You (Italy), Polyphonia (Poland) and Tome To The Weather Machine (USA). 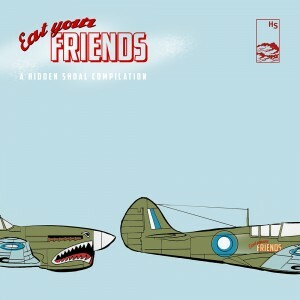 Check the links to read the reviews and then soak in the album and grab some free downloads at the Hidden Shoal Store. KZSU listeners can expect to hear lots of cuts from both these releases spinning on the radio and should be keeping their eyes on the charts as well! Head to the Hidden Shoal Store to download both tracks for free and check out their fantastic respective releases. 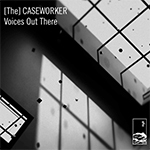 New Album "Voices Out There" from [The] Caseworker Now Available! We’ve been bursting at the seems to release this amazing album! It is of course Voices Out There, the fourth album by garage-dreampop trio [The] Caseworker. Voices Out There sees the band rein in the lo-fi guitar-pop impulses of acclaimed third album Letters From The Coast to explore a more expansive, minimal sound, akin to Conor and Eimer Devlin’s previous band Half Film. The band manage to channel the best of Flying Nun’s roster and merge it with their inimitably dreamy and atmospheric take on rock music. First single ‘Dependence Day’ marries [The] Caseworker’s trademark restraint with a strident, slowburning melodic sensibility, while the title track vividly surveys the morphine hallucinations Conor experienced while confined to a hospital bed in Switzerland. The album’s chiming guitars, gently bobbing rhythm section and warm yet dislocated vocals from both Conor and Eimer Devlin generate a sense of intimacy and fragility that is deeply affecting. What’s most apparent on these songs is of a band in absolute control of their craft, able to derive maximum emotional heft from minimal ingredients. Voices Out There is available now in CD and digital formats. All CD orders include an immediate download of the album in mp3 or FLAC formats and all downloads come with a beautiful extended digital booklet. Head to the Hidden Shoal Store for all the details. Alpha Hall “Omens” Out Now! More lovely reviews rolling in for Hidden Shoal releases. This time Monocle‘s brilliant new album Transpacific Sound Paradise has just been lovingly reviewed at Leonard’s Lair and [The] Caseworker‘s latest single and title track to their forthcoming album Voices Out There has just been reviewed at The Sunday Experience as well as the Polish blog Polyphonia. Head to the Hidden Shoal Store to check out the above releases by Monocle and [The] Caseworker along with free downloads and previous albums. We have an absolutely beautiful new single and stunning accompanying music video for you from garage-dreampop trio [The] Caseworker. ‘Voices Out There’, the title track to their forthcoming new album (24th October), is available now as a free download and for streaming on SoundCloud. The accompanying 3D animated music video by Cam Merton, Hidden Shoal label manager and experimental film-maker, is available for streaming on YouTube and Vimeo. Of all the songs on Voices Out There, the title track is most explicitly coloured by Conor Devlin’s experience of recovering from a serious car accident in 2012. ‘Voices Out There’ vividly surveys the morphine hallucinations experienced while confined to a hospital bed in Switzerland. The song’s chiming modulated guitars, gently bobbing rhythm section and warm yet dislocated vocals generate a sense of intimacy and fragility that is deeply affecting. The track’s 3d animated music video visually renders the intimate, surreal and dislocated spatiality conveyed so beautifully in the song. 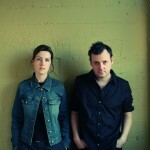 The track is lifted from the band’s fourth album, and their second for Hidden Shoal, Voices Out There, which sees [The] Caseworker rein in the lo-fi guitar-pop impulses of acclaimed third album Letters From The Coast to explore a more expansive, minimal sound, akin to Conor and Eimer Devlin’s previous band Half Film. The band maintain their enigmatic intimacy and atmosphere, while suggesting haunting vistas just beyond the horizons of these succinct, sad songs. [The] Caseworker – ‘Voices Out There’ from Hidden Shoal Recordings on Vimeo. “The physical distance between the components of a given band is now a more and more relevant, not only for the electronic experimenters who exchange files from one corner of the globe, but also for artists who put the writing and the cohesion of melodic songs at the center of their expressive code. It is a well-established for [The] caseworker, quartet whose members are spread between California, England and Switzerland but maintains its roots firmly on the U.S. West Coast. 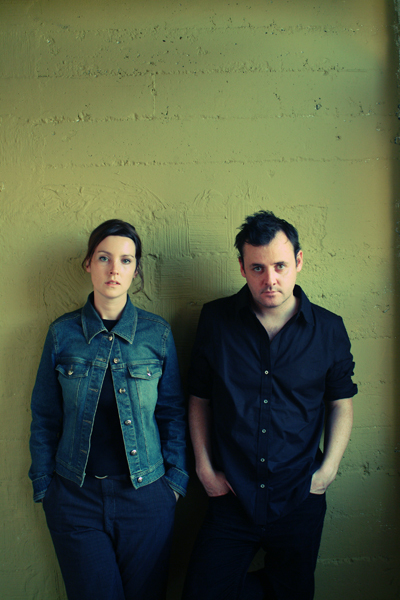 Like last ” Letters From The Coast “, also their fifth album” Voices Out There “was in fact recorded in San Francisco, in the same studios that have seen the birth of the latest works by Soft Moon and The Weekend. Probably the latter figure was partly plagued the band led by brothers Conor and Eimer Devlin, whose Popsong agile and sadly you are now cloaked in wraparound shades shady. Not for this is missing the potential of melodic songs, however, who see their times and languor slowed moderately jangly outcropping in previous work become more full-bodied and dark reverbs. 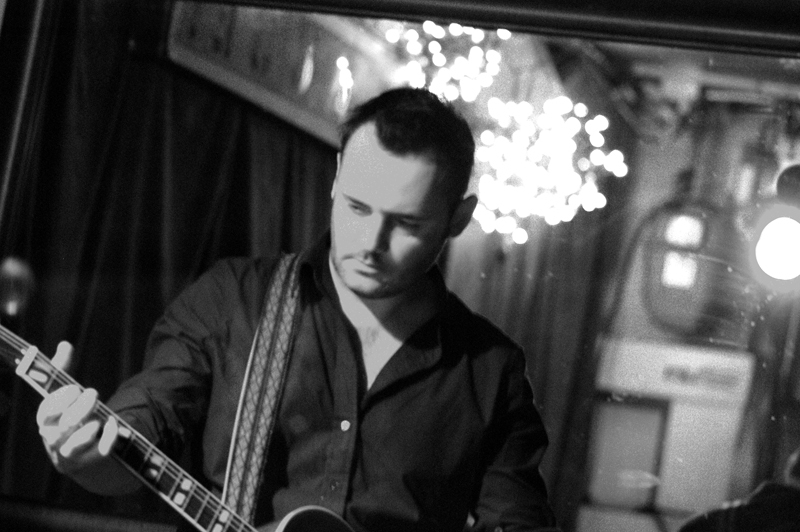 Although in particular the first part of “Voices Out There” maintains suspended atmospheres and dreamy, soaked by salt breezes (“Ultramarine”, “Dependence Day”), explicit twists distant echoes from the garage and turbid feedback (“Morgen-shelf”, ” The Inside View “) deviates decisively towards gothic setting, although tempered by flowing melodic fading, which are interpretations of Conor Devlin complement of unpredictable natural. “Floated the soul of the Velvet Underground, but fortunately there are teams that show who was the inspiration for them. Today the trio [The] caseworker . Yesterday we received the sad news of the death of Lou Reed. Probably if not for his influence, is today I did not write about the latest album “Voices Out There” [The] caseworker. Some time ago on Polyphonii described the video for the title track, which was another harbinger of the upcoming longplay. The disc is released on Australian label Hidden Shoal Recordings . Music [The] caseworker is also a characteristic of sleepy and slow pace, which sometimes comes on top of a slightly depressed mood, associated with the stage slowcore’ową (Codeine, Low and Red House Painters). [The] Caseworker’s Voices Out There is their 4th album, and it’s been promoted by two tasty singles; the album’s title track, as well as the stunning “Dependence Day”. 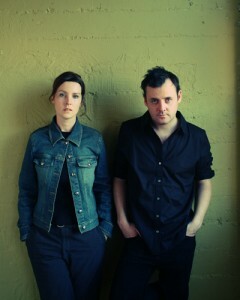 Depp-cored dream-pop for heart and soul. With the 12 track Voices Out There Conor Devlin (vocals, guitar) and Eimer Devlin (vocals, bass), accompanied by drummer Will Waghorn and producer (and additional guitars) Monte Vallier have probably made their best album so far. The songs tread the dark side of pop, in moods, manners, and feelings. As I said when reviewing “Dependence Day” they create “…perfect guitar-pop melancholia. Sadness painted in bright colours.” This is far from the cherry and merry guitar pop. [The] Caseworker move in the shades and in landscapes of gloom and doom. That said, they are not a total doomsday ballroom band. This is not music for ‘end times’ only. Their music do hold glimpses of daylight and colours as well, even though this is the pale and bleak edition of the colour palette. To quote Rolling Stone: “…extract darkness from inside whispery, ambient pop… completely enraptured and awesomely dazed”. [The] Caseworker serve strong tales of describing darkness and trauma, musically and vocally delivered with enigma and empathy. 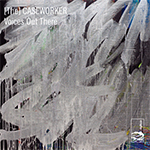 “Ambient garage-dream poppers [The] Caseworker has got a new single ready, off their new album Voices Out There (to be released October 24th). The trio’s new efforts are produced by Monte Vallier (Swell) and recorded at Neil Halstead’s (Slowdive) UK studio. The band was formed by Conor Devlin (vocals, guitar) and Eimer Devlin (vocals, bass), as a duo (in prior to Caseworker, they were Half Film), while drummer Will Waghorn joined in later when performing live wasn’t a two-some job. 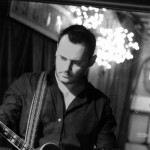 Now producer Monte Vallier, was also no-board as an extra guitar player at the time. Voices Out There will be their fourth album, following Letters From The Coast. I’m really looking forward to it because “Dependence Day” is a smashing, fabulous song! 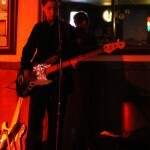 [The] Caseworker roam the lo-fi guitar-pop valley. I was just about to name-drop Flying Nun Records, and – Hey! – That is what’s mentioned in the press material (‘…the feel of a shoegazing Velvet Underground reared by the Flying Nun label – the perfect balance of drone and chime’). 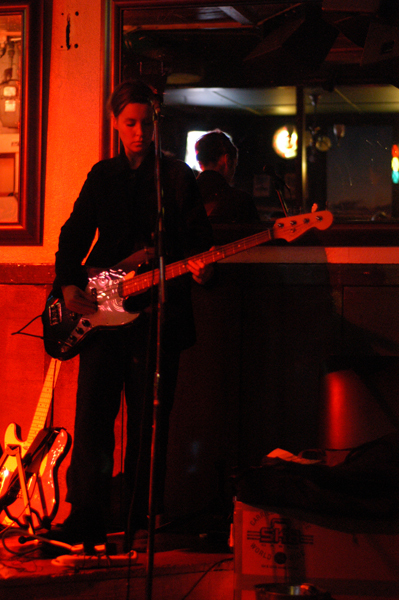 The guitars sparkle, the basslines is a comfortable mattress, and the drums and cymbals are clean and steady. On top, there is Devlin’s voice – dark, rustic, sober, and quite fitting guidance for listening to the song. Excerpt: “They aren’t exactly mysterious, [The] Caseworker, they just spread themselves around a lot. With band members variously inhabiting San Francisco, Switzerland and rural England, they seem less of an actual band and more of an association bound only by their musicality…. What it is, is a mellow, blissed out sequence of West Coast guitar pop, one that references Green On Red and Teenage Fanclub as much as it does the more abrasive Sonic Youth and monochromatic Velvet Underground whom [The] Caseworker acknowledge as influences. Alex Chilton casts his lengthy shadow over the songs here too, and there are inflections in the songwriting that reveal Post Punk influences such as Wire and Television Personalities. After all this, while you might think [The] Caseworker haven’t left any room for their own songwriting, they are significantly more than the sum of their influences and Letters From The Coast is a sun drenched dream haze of verging upon euphoric blissed out jangle pop…. 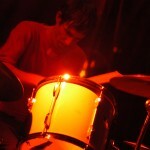 Without leaning too heavily on foot pedals and production, and utilising some highly defined instrumental dynamics, Letters From The Coast has as much resonance and melodic energy as any of the bands and musicians whose work [The] Caseworker draw their influence from, and it succeeds fully as a complete album…. Anyone whose album colllection is incomplete without Ocean Rain, Grand Prix and Park Life will find an equally prominent space in it for this twelve track masterpiece. Letters From The Coast Album Release. [The] Caseworker’s music is available for licensing (master & sync cleared) through Hidden Shoal. Please contact us with some basic details about your project and the track(s) you wish to use and we’ll be sure to get back to you straight away.